Terrorism, political upheaval, domestic tragedies and the apparent one step forward, two steps back of the Brexit negotiations – it’s been an unusual and, at times, deeply traumatic 12 months since the last NCAS conference in Manchester. However, when the conference returns to Bournemouth next week, I shall be attending with a sense of pride in what our social workers have contributed to the people of this country. As either witnesses or participants, we have sought to support the vulnerable and the struggling through challenging times. Although empowering individuals and families to make positive life decisions is what we do every day, it is in moments of crisis or unexpected trauma that we truly prove ourselves. We have done exactly that in recent months. So, to my fellow social workers supporting survivors and others affected by the attacks in Manchester and London, or the aftermath of the Grenfell Tower fire, a heartfelt thank you. And it is in that spirit of pride and confidence in our profession that I shall be hosting and participating in a variety of sessions this year that will demonstrate once again the value and importance of social work in society. In fact, I’m getting in early, as I shall be speaking at a Principal Social Worker (PSW) Network fringe event the night before conference. 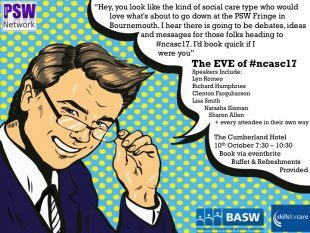 PSW co-chair Mark Harvey and his colleagues will be hosting The Eve of #NCASC17 - an evening of presentations, debates and networking on Tuesday 10 October at the Cumberland Hotel. It’s a free event and spaces are going fast, so if you haven’t signed up yet, book your ticket now. On the first day of the conference proper I’ll be a guest speaker in a session called ‘Who will care for us?’ Chaired by Dr Chai Patel of care home provider HC-One and also featuring Julia Scott, Chief Executive of the Royal College of Occupational Therapists. Together, we’ll be discussing the challenges of sustaining a skilled, committed and motivated workforce. 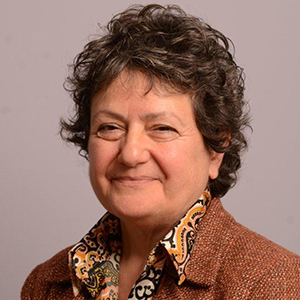 Then on Thursday 12 October at 2.40pm I hope you’ll join me, Ruth Allen Chief Executive of the British Association of Social Workers (BASW)and the PSW network on the DH stand for a chance to learn more about The role of the Principal Social Worker and practice leadership. I’ll also be launching a new capabilities framework for social work with older people - which we have worked on in close partnership with BASW - and promoting the James Lind Alliance survey to identify top questions and issues for social work with adults. I’ll be rounding off my attendance on Friday 13 October 11.45am-12.45am when I’ll be speaking at the final plenary session: Social care and its response to crisis. I’ll be joining Dr Carolyn Kus, Strategic Director of Commissioning and DASS for Manchester Council and Cllr Richard Watts, Chair of the LGA Children and Young People Board to reflect upon a year of unprecedented trauma. We’ll be discussing how care and support services responded to recent crises and how we can take this learning forward to provide an even more effective response in future. These have been difficult times, no question, but there is cause for optimism. I believe the quality of our training, the growth in specialisms around mental health, learning disabilities and dementia, and the incredible commitment of new and existing social workers, means we are a profession that stands shoulder to shoulder with our colleagues in the health and care sector. We have a lot to give – join us at NCAS 2017 to find out just how much. Surely you mean 'mettle', not 'metal'? Quite right! It's been one of these days!